Here’s Amy doing her thang with Trigger 5. On Saturday, 3/28 you can find us at the Schlafly Tap Room downtown playing with String Buzz and James Will & The Delusions of South Grandeur. All of Trigger 5’s proceeds plus any tips you want to donate will go to our favorite public radio station, KDHX 88.1 FM. The shows starts around 9PM so settle in and grab a beer. UPDATE: Thanks to everyone who came to the show last night. Because of you, $190 will be donated to KDHX. The oldest active member of the Grand Ole Opry has passed away. Our new album of songs is in the mixing phase and should be finished within the next couple of months. It’s a real country concept that tells the story of a broken relationship from start to finish from two opposing points of view — the breaker and the breakee. As you know, there’s always two sides to every story so we thought it would be interesting territory to explore. We’re excited about how things are turning out. So, keep an eye out here for the announcement of our Heartbreak & Regret release party. It’s gonna be a shindig! Now here’s a bill that’s certified country gold. 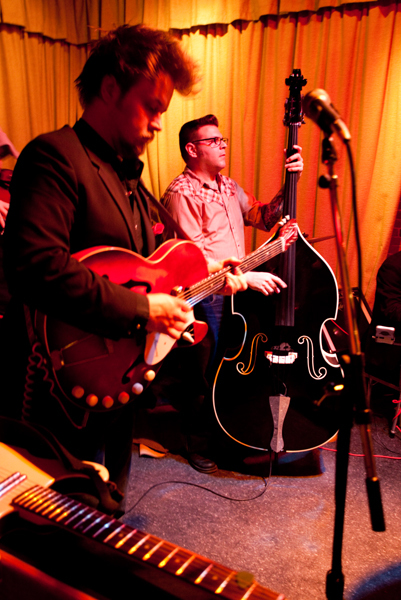 Kentucky Knife Fight, Bob Reuter and Trigger 5. 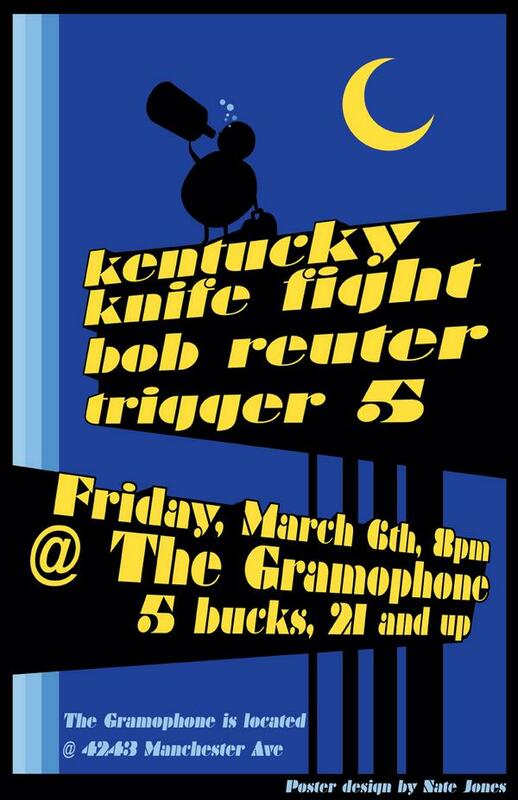 It’s this Friday, 3/06/09 at the Gramophone in the Grove. The show begins at 8pm and doesn’t stop until the last fool is dashed to the sidewalk out front. Please join us for some of the best original music in St. Louis.